A look at coreofficial.com | NoScams Scam Advisor! 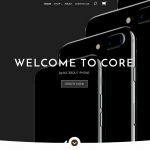 I few days ago ‘Reda’ ask about coreofficial.com – so I had a look. 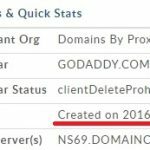 The site is hosted on GoDaddy, so it’s most likely not from China. 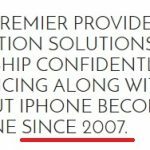 On their about page they say the company does iPhones since 2007 …. Created in December 2016 – a bit over one month old now. I don’t think they are in China, but lets have a look where they are located … right, there is no address, no phone. We even don’t know what country they are in. Would I buy there? NO WAY! MY ORDER NO. IS #R251802576 .This is a total fraud website. The person name Jack Kevinson is handling this fraud business from UK. People in India should avoid it as one of my friend lost his money and I also have a proof that this is a total fraud case. He will tell you to transfer funds in a BITCOIN company account which is already banned in India. The bank account is with SBI and then they will promise you to give indian warranty bill in the name of Redington. But no such things happen you are just being fooled. More more details you can see the attachments and if you need more details you can comment on this post. so last final is i want to refund my oney so how can refund my money. Sir coreofficial.com is scam or not. Sir I ordered the Iphone 6 but 20 days had gone my phone is not delivered. What I can do. It’s a scam. Not much you can do now. They are fraud i also ordered 10 days back, they said 7-8 working days delivery no delivery yet. Only from Apple. Means you can’t as there is no iPhone wholesale. Is core official.com a scam. You will never receive anything I am afraid. Before you want to check how to get your money back you need to check where they are located. In fact, location check is a good idea before you pay. I trust their Facebook page comments published .Now how I get refund reply please. SHENZHEN WANDA TECH CO;LIMITED ORDERD $350 WORTH OF GOODS RECIEVED A TRACKED PACKACE WITH CONTAINING NOTHING OF ANY VALUE. WAS TOLD BY THEM THAT GOODS I ORDERD WERE IN PACKAGE I SIGNED FOR. AND THEN STOPPED COMUNICATING WITH ME. SOUNDED GENUINE EVEN SPOKE TO THEM ON PHONE. This site has all the warning signs and most information they give does not match. Bjfenen.com is a scam. After i sent money, they don’t reply anymore. The way she mesaage me looks so real. They sent ID’s and certificate also. To prove that they are not scam. It’s scam, this scam just went end of March 2017 into the scam database. 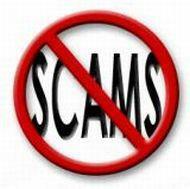 SHENZHEN WANDA TECH CO,.LIMITED Is one trust company or is one OTHER SCAM/FAKE/FRAUD COMPANY? can you help me to do any purchase? Last year I was one victim more from two Fraud Chinese companies where I lost $ 980 from my savings. I don’t want to bite again any CHEAPER AND NICE FRAUD OFFER”FISH HOOK. I’ll appreciate your kind help to avoid loose any money. Thanks In advance. Best Regards. Benjamin Borda. PERUVIAN CITIZEN I’ll wait your answer.